Come join us at The Bridge this Easter Sunday for a great time of worship and fun as we celebrate the resurrection of Jesus! The music and message will inspire and change your life. Every child will also receive an Easter bag filled with lots of goodies inside! 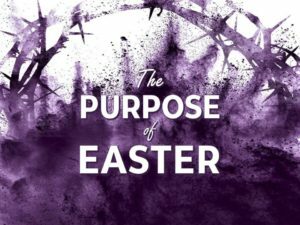 Why is Easter so important? What difference does Easter make? Is Easter able to change or improve anything? More specifically, what difference can Easter make in your life, your family, your marriage, or in your career? This week The Bridge band will be singing: My Savior Lives, Let God Arise, Amazing Love, Your Grace is Enough, Overcome and One Way Jesus. Also, every child that attends will receive a FREE Easter bag filled with lots of goodies!